Anne and Dan’s fall wedding at the Scripps Seaside Forum began as they got ready at the breathaking Pacific Terrace Hotel. 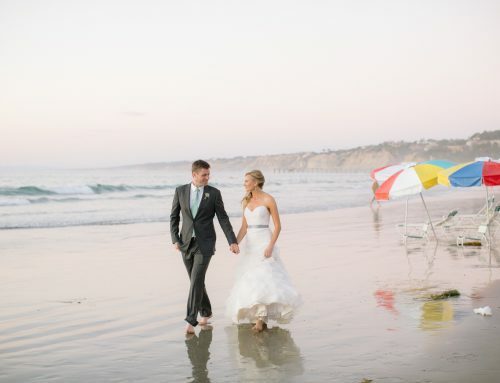 They infused tons of great beach elements into their day. Ann and Dan had an absolutely perfect fall day. The weather was amazing, as was the view. All of which was topped off by the couple’s adorable doggy walking down the aisle. After their touching ceremony, the couple took photos. We were a little nervous about how the weather would turn out, but the sunglasses the couple planned for were put to good use! Once photos and cocktail hour were complete, it was time to celebrate! 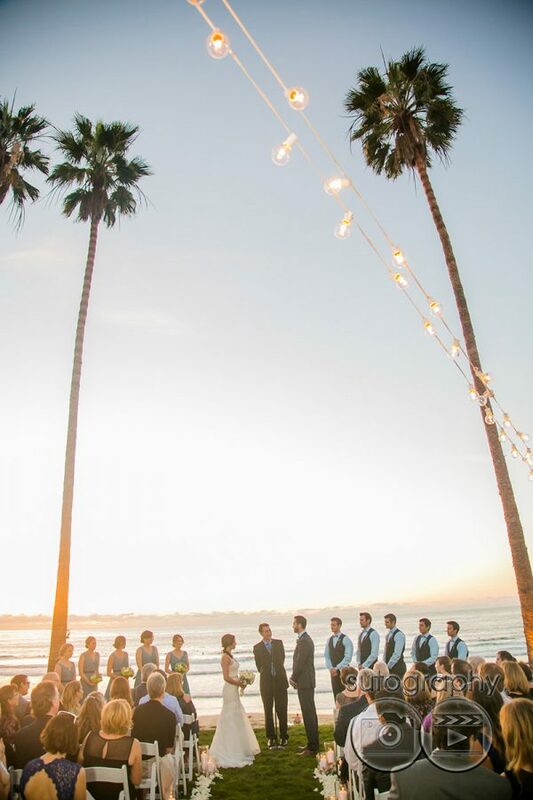 We love their inclusion of simple but unique wedding details at the Scripps Seaside Forum. One of the coolest parts of the evening? The casino tables!!! Guests loved this inclusion. This is the very first time we’ve ever had casino tables at the Scripps Seaside Forum. Anne and Dan, we loved working with you. Thank you for including us on your wedding day!!! This is one of my favorite wedding venues by far. Can’t beat that how easy it is to go from ceremony to reception and that ocean view. I really like those blue uplights in the last photo. It’s amazing how uplights can really make a reception pop!